You must be at least 13 years old to purchase a subscription. Will expire April 18, 2020 Your account will automatically renew on April 18, 2020. You will be sent an email confirming the renewal fee a week prior to charging your credit card. You can update your billing and shipping information or cancel automatic renewal at anytime by signing in at Jason Aldean Login and going to your Account page. 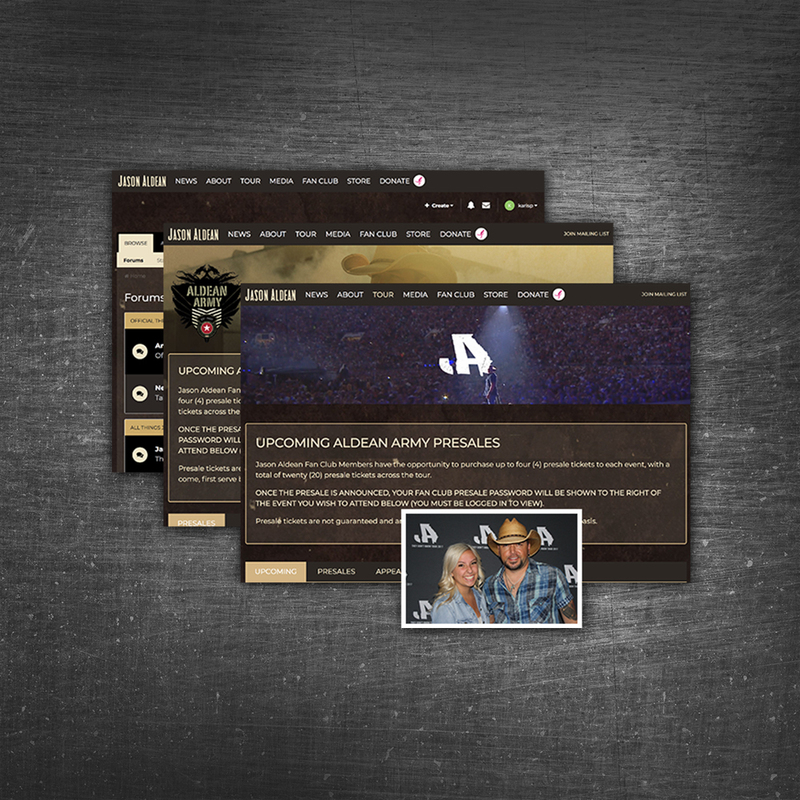 I agree to receive emails regarding Jason Aldean tour dates, presale ticket opportunities, news, and promotions. You may withdraw your consent to receive these messages at any time. I do not want to receive emails. If you select this option, you will only receive transactional updates, you will not receive fan club news or offers.